For safe, durable, and quality Cutting Board will not dull your knifes, our Cutting Board is your ticket to cooking with ease. 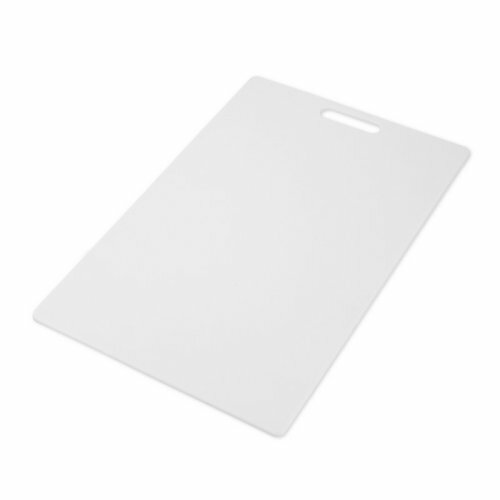 For food prep at home or in the commercial restaurant kitchen, our thick and large Bamboo Cutting Board is used when cutting legumes, fruits, meat, bread, and baked goods without unnecessary hacking and sawing. 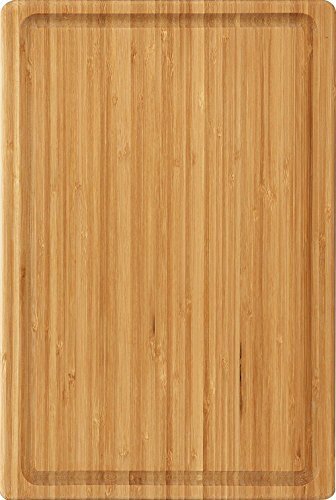 Easy-to-use and durable, this Bamboo Cutting Board has fewer spaces for the bacteria to get trapped unlike wooden cutting board. A perfect multipurpose kitchen tool for any home cook or professional chef. • The bamboo is organic, we used Moso Bamboo which is Sustainable. • The glue used to hold this board together do not contain formaldehyde. • The surface is finished with sunflower oil. Not finished with toxic color painting. • It is 16% harder than maple, cost effective. • This bamboo is not a food source or a habitat, for the Giant Panda. • Board is easy to maintain. Wash with warm water and use Totally Bamboo's Revitalizing Oil, occasionally, to extend the life and keep it looking beautiful. Bamboo is one kind of special plant, it needs appropriate humidity, if we put it under wind or central heating for a long time, and no any water application, it will lose the humidity balance and go to crack, but for our frequent use, the problem will not appear, also, the important thing is the bamboo cutting board could not be put into dishwasher!